Philip Kingsley Flaky Itchy Scalp Shampoo 8.5 oz. Treat itching scalps to the CLINERAL PSO Scalp Shampoo; a lightweight formula that works to cleanse, hydrate and combat scaliness, flaking and dandruff. Harnessing the powers of Zinc, Sunflower Seed Oil and Dead Sea Mineral Extract, the soothing shampoo gently eliminates impurities from the hair and scalp, whilst relieving itching and irritation to for restored comfort. Ideal for psoriasis, the hair and scalp will feel calm, balanced and lightly scented with aromatic oils. Approved for sensitive skin. Clinically and allergy tested. 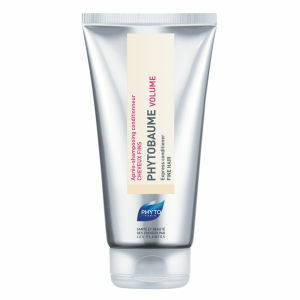 Free from synthetic fragrance, animal testing, parabens and SLS/SLES. 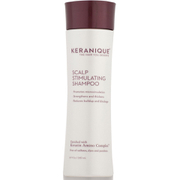 Shampoo hair and massage onto wet scalp. Leave for 1-2 minutes. Rinse well. Suitable for daily use. Aqua (Mineral Spring Water), Sodium Trideceth Sulfate, Helianthus Annuus (Sunflower) Seed Oil, Sodium Lauroamphoacetate, Cocamide MEA, Behentrimonium Methosulfate, Cetearyl Alcohol, Lactic Acid, Bisamino PEG/PPG-41/3 Aminoethyl PG-Propyl Dimethicone, Decyl Glucoside, Phenoxyethanol, Sodium Lauroyl Sarcosinate, Zinc Oxide, Sodium Chloride, Allantoin, Zinc Pyrithione, Bisabolol, Maris Aqua (Dead Sea Water), Guar Hydroxypropyltrimonium Chloride, Lauryl Glucoside, Sodium Cocoamphoacetate, Sodium Methyl Cocoyl Taurate, Calendula Officinalis Flower Extract, Dipotassium Glycyrrhizate, Hippophae Rhamnoides (Oblipicha) Fruit Oil, Hydroxyethylcellulose, Kaolin, C12-13 Alkyl Lactate, Butylene Glycol, Glycerin, Ethylhexylglycerin, Cymbopogon Schoenanthus Oil, Benzoic Acid, Dehydroacetic Acid, Citral. Started using several months ago and has really decreased the amount of dryness/scaliness that I had been getting as well as decreasing pimples on the scalp. Will continue using!